Perhaps our lab's favorite multi-purpose 209 primer. 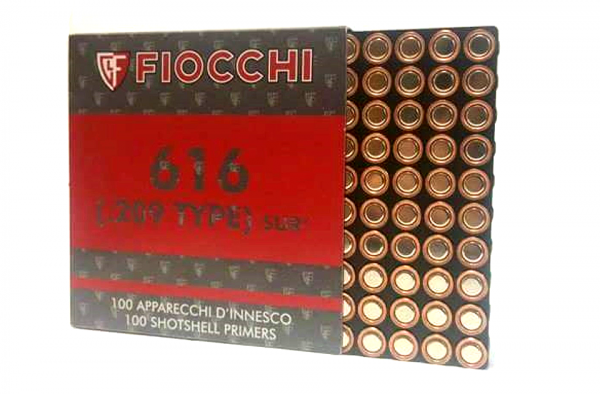 The very same primers used in Fiocchi's world-class ammunition, these primers are made to exacting tolerances and produce accurate and consistant results in our lab and field tests. Due to metric conversions, they are about 0.001" larger in diameter than other 209 primers, which makes them great for tired, slightly oversized primer pockets in previously-fired hulls. While most of Fiocchi's ammunition is loaded at their plant in Ozark, Missouri, Fiocchi is also importing ammunition and reloading components from their plant in Italy. 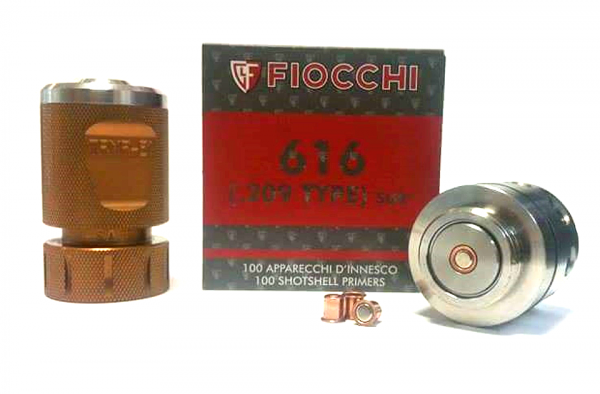 All Fiocchi products are loaded to either C.I.P. or SAAMI industry specifications. 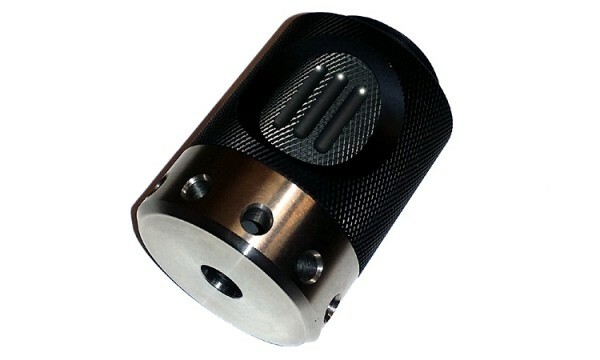 These fit all the TRMR 209 primer adapters and bases. 118 Decibel reading (slightly lower than the Cheddite Primers).